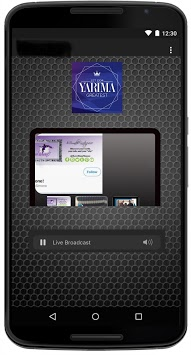 This app combines Radio and Live Streaming together.. We have a 24 hour radio station where you can now enjoy our own radio station, online! Yarima Karama.. 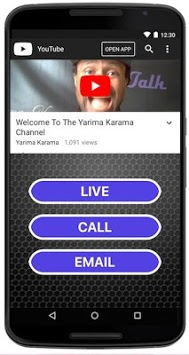 The original truth teller..
Social Media is huge in a big way... Social media is really getting bigger and bigger.. Yarima already has a huge following across many platforms. This is why it is time branch out with an app! You, asked for it.. Now, you've got it! 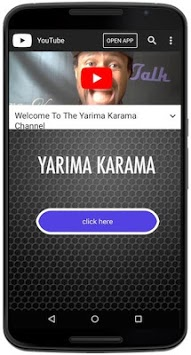 Why send people to other apps to find Yarima when you can come directly to Yarima right beside others in the App Store. Now Yarima is fully in charge and have full control. This app will allow us to connect with everyone in the best way, Even when there is no internet, you still can access parts of the app without the "You need access to the internet, or error messages"
Yes, even when there is no internet connection, you can still view content in the app.. Call us and find out the latest at a click of a button. We can list you in our directory and you get the vip treatment! Get ready to take off with us.. I am ready.. Are you?